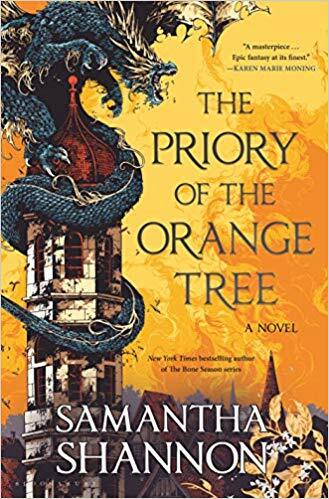 From the internationally bestselling author of The Bone Season, an enthralling epic fantasy about a world on the brink of war with dragons--and the women who must lead the fight to save it. Pirates, plague, diplomacy, and dragons? This whole thing sounds utterly fantastic. Anxious to give it a read. I'm curious about this one but want to see some reviews before I bring another door stop into the home :) Seriously, it's huge right? I saw this book a few weeks ago and thought the cover was stunning but never read the synopsis. This sounds like such an epic story. Great Pick! I'm looking forward to this one too, though given the high page count, it's probably going to be an audio listen for me. I'm super excited for this one, honestly! I read a preview chapter and I just want the full thing already.